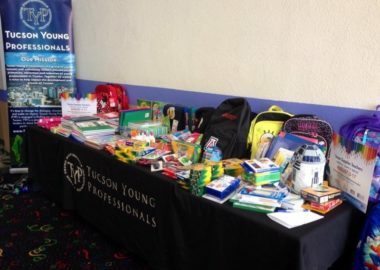 Tucson Supplies Teachers has become the largest school supply drive in the region! 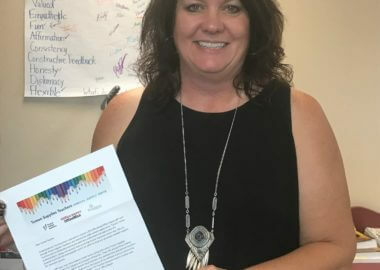 We collaborate with Pima Federal Credit Union, Office Depot/OfficeMax, Tucson Electric Power, and other community partners to help offset the $500 to $1,000 teachers spend out of their own pockets each year for much-needed school supplies. 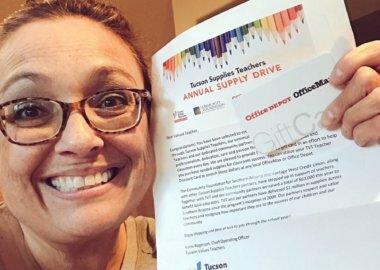 Since inception, Tucson Supplies Teachers has delivered more than $1,000,000 to help teachers purchase the items they need for their students and classrooms. 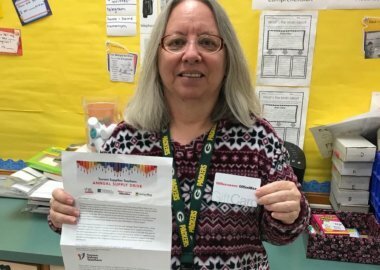 All donations made to Tucson Values Teachers during the supply drive will be used to purchase gift cards to assist teachers with classroom supplies. 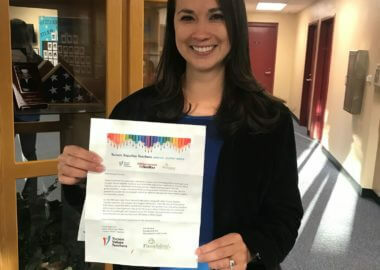 The 2018-2019 Supply Drive has been reopened thanks to an $85,000 donation from Tucson Electric Power! 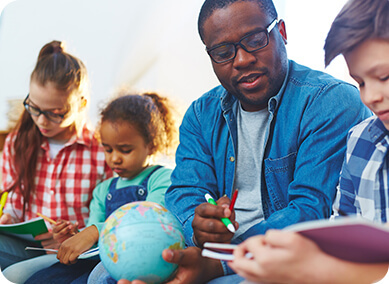 Teachers that did not sign up during the summer and fall of 2018 can submit their information below for a chance to win a $50 gift card. 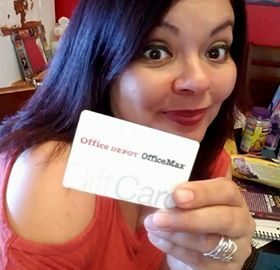 TEACHERS: Register here for your chance to win a $50 Office Depot/OfficeMax gift card! 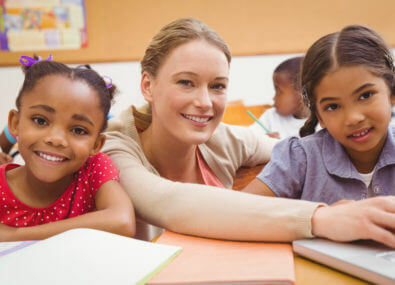 *You MUST be a K-12 teacher during the 2018-2019 school year in order to register/win. 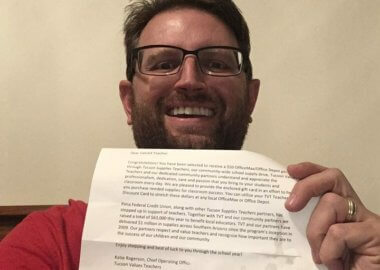 Registration does not guarantee you will win a gift card. How many gift cards TVT is able to provide depends on the funds raised and donations received from our generous donors. 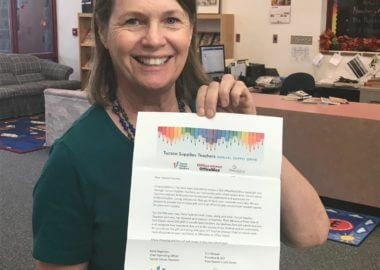 Marana Unified School District teachers thanks TVT for the classroom gift cards. Tucson Supplies Teachers in action. 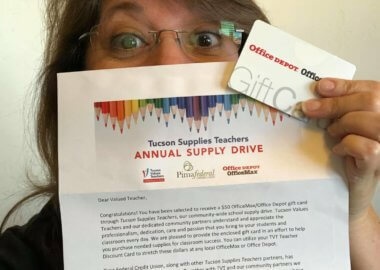 Tucson Supplies Teachers drive in action. 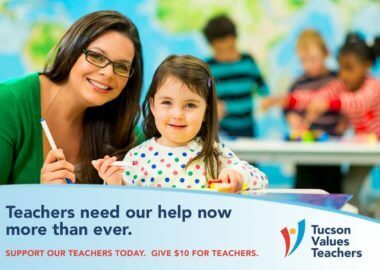 Every single dollar raised for Tucson Supplies Teachers goes to support local classrooms.